If you’ve been following Inhabitat for a while, you’re probably familiar with Dr. Tamsin Woolley-Barker’s brilliant biomimicry articles. For the past year and a half, Tamsin has been pouring her heart and soul into researching and writing a book entitled SuperOrganizations: Nature’s Game-Changing Guide To Faster, Smarter, More Valuable Companies. In it, she describes how radically collaborators (like ant colonies and honeybee hives) work together to create value, and how we can mimic them in our own organizations to do the same thing. Now she needs help to put the finishing touches on the book and get it out there, so she’s launched a Kickstarter campaign to fund it. She’s hoping to raise $15,000 towards this goal, and is already almost halfway there! This is a movement, and the time is now for a well-reasoned, scientifically-based, common sense platform we can all take to the bank. If the ants can do it, so can we. Wow! Thank you so much for this great plug! And truly it will be great! Thanks for your support! If you've been following Inhabitat for a while, you're probably familiar with Dr. Tamsin Woolley-Barker's brilliant biomimicry articles. 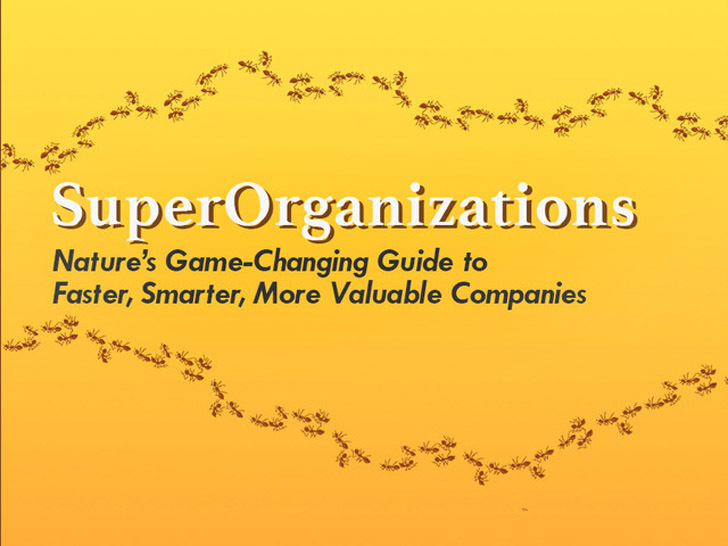 For the past year and a half, Tamsin has been pouring her heart and soul into researching and writing a book entitled SuperOrganizations: Nature’s Game-Changing Guide To Faster, Smarter, More Valuable Companies. In it, she describes how radically collaborators (like ant colonies and honeybee hives) work together to create value, and how we can mimic them in our own organizations to do the same thing. Now she needs help to put the finishing touches on the book and get it out there, so she's launched a Kickstarter campaign to fund it. She's hoping to raise $15,000 towards this goal, and is already almost halfway there! This is a movement, and the time is now for a well-reasoned, scientifically-based, common sense platform we can all take to the bank. If the ants can do it, so can we. You probably know Tamsin's biomimicry articles on Inhabitat, and now she's drawn upon her own 20 years of research and experience for her book. Tamsin draws upon organizations like ant communities to study how our own communities can work more efficiently.